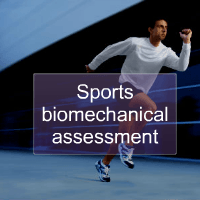 You don't need to be an athlete to benefit from a biomechanical assessment, as many issues arise from your normal activities. You use your feet alot in any given day and over time this can lead to issues that seem to appear from nowhere. 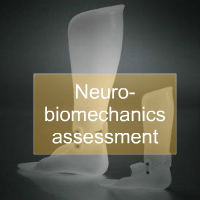 So what happens in the biomechanical assessment? The most important part of the biomechanical assessment is listening to the patient to understand the problem. It is vital that we understand the issue you have come to see us about from your persective. Often other clincians are keen to give patients their view of the problem when really they are not the person living with it. Instead we need to hear it from your side to understand how your problem impacts on you. We take a history of the current and previous issues you may have as well as a full medical history to inform what may be important factors to consider before starting our assessment. Equally, we need to understand what the patient is expecting from us. 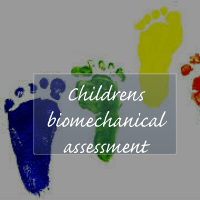 Once we have have taken a history we assess your body alignment including, your feet/ankles. legs, knees, hips, spine and shoulders usually standing to check for any alignment issues. We then also assess the alignment and movement of your joints when moved (passive and active movement) to check against normal limits. Any signs of potential alignment issues, muscle weakness or imbalances are recorded and discussed with you as the assessment takes place. Sometimes the problem you have with the way you walk (your gait) is not always obvious to the human eye. This is why after the assessment of your alignment we look to see what happens when you move. This in essence a way of confirming our findings from the static aligment and range of movement assesment. 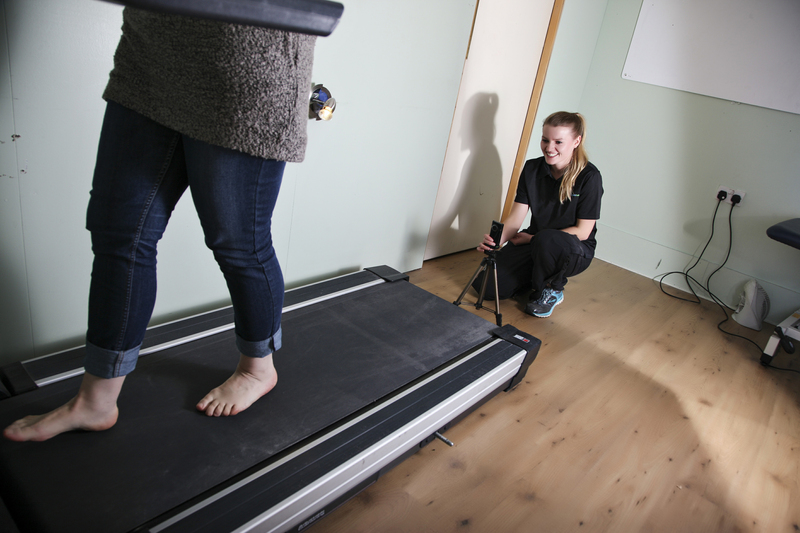 your gait is analysed using video gait analysis equipment to allow us to look in more detail at exactly what happens when you walk or run. Often with biomechanical issues you will see compensatory movements or "trick" movements that your body adopts (without you being aware of it) to try to overcome your underlying problem. 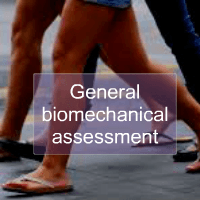 Video gait analysis as part of the assessment helps identify these. The final part of the process is feeding back the findings of the biomechanical assessment through slow motion video gait analysis and the assessment findings. A full and honest view of the possible treatment we can offer you, or alternatively we will advise on the possibility of us referring you to other members of our team for treatment. For any orthotics/insoles that we may prescribe we make these on site and discuss your options as to how these may may be made to best fit your needs.